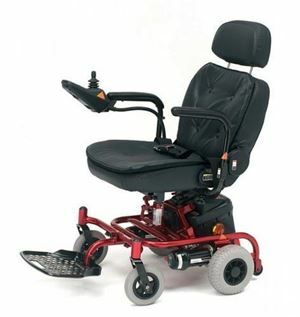 An electric wheelchair can provide a significant boost to mobility and independence. 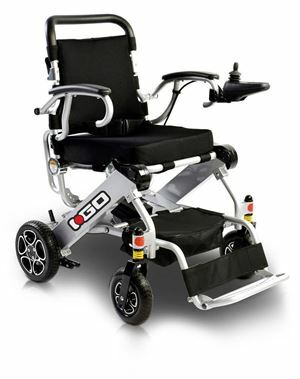 Here are ten electric wheelchairs designed to be easy to handle even when folded. 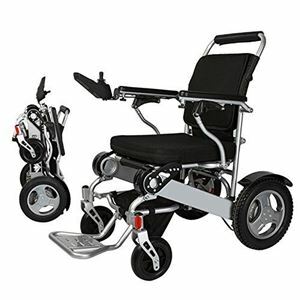 An inexpensive option, which is both electrically powered and compact enough to be stored in a car, is the Livewell Powerchair. It claims a useful range of up to 15 miles on a full charge and a top speed of 4mph. 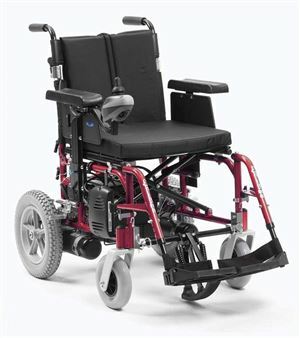 As well an adjustable backrest and armrests, the electric motor can be de-clutched and allow it to be pushed like a conventional chair. The Drive Medical Enigma Energy offers a broad range of features likely to make it suitable for all. A PG Drives controller ensures swift and accurate responses while the backrest and armrests are fully adjustable for maximum comfort. A range of 15 miles and a top speed of 4mph is available from a full charge, while the steel frame guarantees strength - Drive Medical say it has been fully crash-tested. The i-Go achieves its aim to be lightweight thanks to an impressive showing on the scales of 23kg even with its twin batteries still in place. 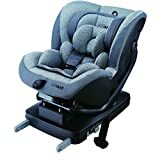 Neither does it sacrifice comfort or convenience as a result, with a front suspension system providing a more cushioned ride and a secure storage compartment to protect your valuables. The i-Go is also suitable for a broad range of occupants as it can take a maximum load of 120kg despite its lightweight build. 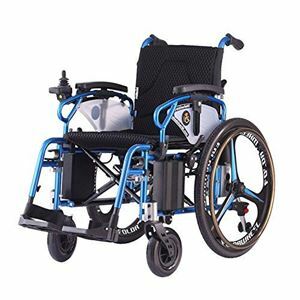 Garnering positive customer reviews on Amazon, the Wheelchair88 PW-777PL is a sophisticated electric wheelchair with a full aluminium frame and lithium-ion batteries to keep the overall weight under 40kg. 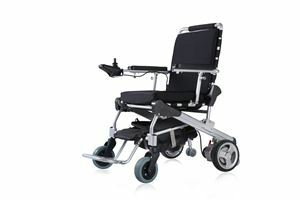 Offering around 16 miles of travel on a full charge, the PW-777PL has a reclinable backrest for increased comfort and has another useful feature in a charger suitable to work with worldwide plug sockets. 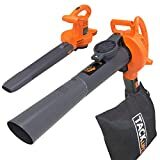 When folded it also slims down to 80cm x 40cm x 74cm, comfortably small enough for many cars. 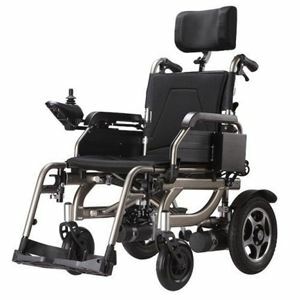 Foldable Electric Power Wheelchair with Reclinable Backrest, Adjustable Headrest & Polymer Li-ion Battery. Foldawheel PW-777PL (Left hand controller). 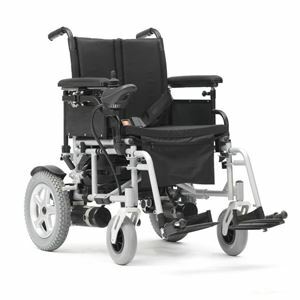 Billed as a lightweight power chair designed to ease the burden of shorter trips and indoor operation, the Vienna has a usefully slimmed down design that helps to keep the overall weight to 49kg with batteries and seat included. Another model designed with portability in mind, the Bangeran is made from aircraft-grade aluminium to give strength as well as a low weight of under 23kg. 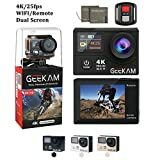 It can be powered by one or two batteries to give increased range, although even on single pack it can travel in excess of 12 miles and reach up to 6mph. Bangeran also claim this wheelchair can be folded in two seconds, and its compact dimensions mean it can easily be stored in a car. Lith-Tech makes some bold claims for its Smart Chair 2, most importantly that it is the most compact and the most advanced electric wheelchair on the market. 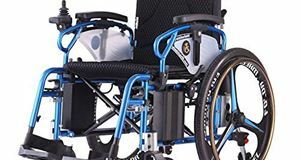 Another wheelchair that is constructed from aluminium, it clocks in at an impressive 26kg with battery included and can be folded or unfolded in a matter of seconds. It can also offer a range of 18 miles on a single charge and carry occupants up to 130kg in weight. 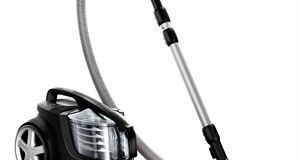 Although comfortably over the £2000 mark, this PW-800AX includes a number of design features that help to increase its functionality and ease of use. 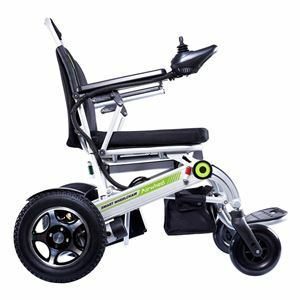 An alloy frame, lightweight lithium-ion batteries and magnesium wheels mean it is light enough to be used as a manual wheelchair - weighing just over 32kg without the batteries installed. Available in four seat widths, it also folds down to under 85cm square which should mean it can fit comfortably in the boot of a car. Although one of the more expensive options on this list, the Airwheel H3s has a distinct advantage in that it is the only chair here to offer fully automatic folding at the touch of a button, which for some buyers will be a significant boon. 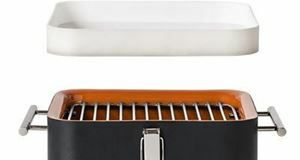 A total weight of 30.5kg means it should be easy to store once folded, offers a top speed of approximately 4mph and is fully charged in eight hours or less. The most expensive chair on this list, the e-Throne delivers with an impressive specification list and some trick technology to boost convenience and utility. 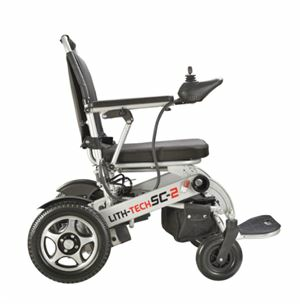 A lightweight frame contributes to an overall weight under 30kg, and the branded LiFePO4 battery is not only lighter but also provides a longer life. 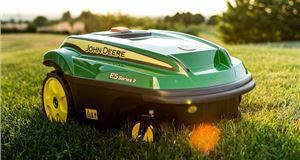 The brushless motor design means lower battery consumption and weight too, while there is a choice of three wheel sizes depending on your intended use.